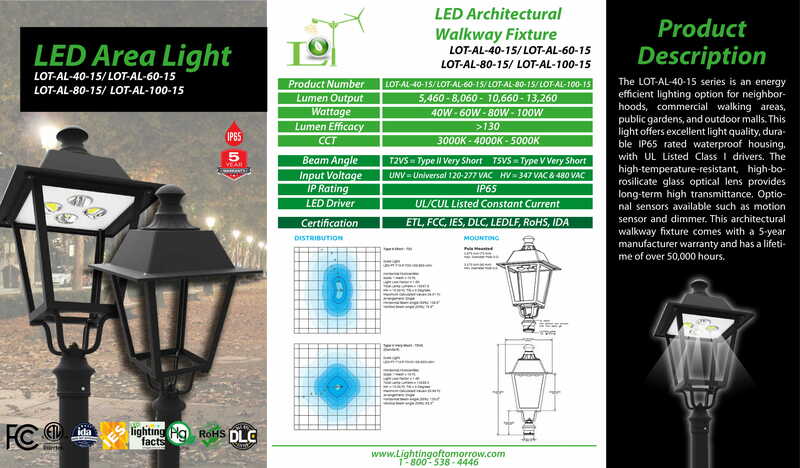 The LOT-AL-40-15 series is an energy efficient lighting option for neighborhoods, commercial walking areas, public gardens, and outdoor malls. This light offers excellent light quality, durable IP65 rated waterproof housing, with UL Listed Class I drivers. The high-temperature-resistant, high-borosilicate glass optical lens provides long-term high transmittance. 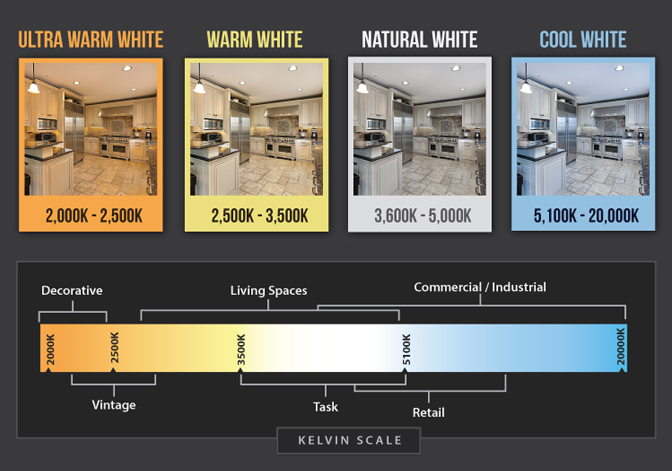 Optional sensors available such as motion sensor and dimmer. This architectural walkway fixture comes with a 5-year manufacturer warranty and has a lifetime of over 50,000 hours.